I love trying new cocktail recipes and this lemon rosemary gin fizz is most definitely a winner. 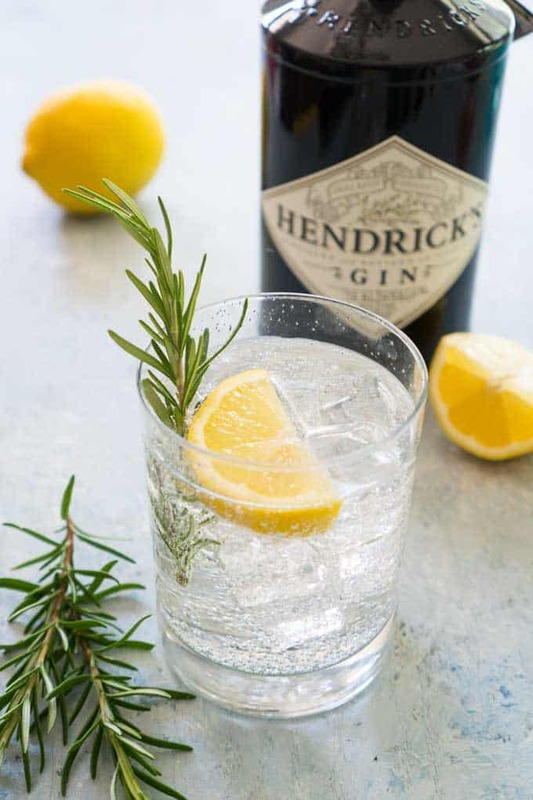 The herbs and citrus perfectly compliment the flavor of the gin. 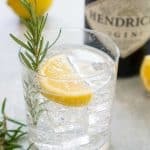 I also love growing herbs on my back patio so I love that this gin cocktail recipe gives me an excuse to use some of my rosemary plant! The key to this beautiful rosemary infused recipe is to prepare a rosemary simple syrup ahead of time. If you haven’t made your own simple syrup before, no worries, it’s so easy! Simply add your sugar and water to a small saucepan and bring to a boil. Stir until the sugar dissolves then remove from heat. Add one sprig of rosemary and allow to steep for one hour while cooling. Remove the rosemary and boom! You’re done! Yum! Made this for happy hour over the weekend!